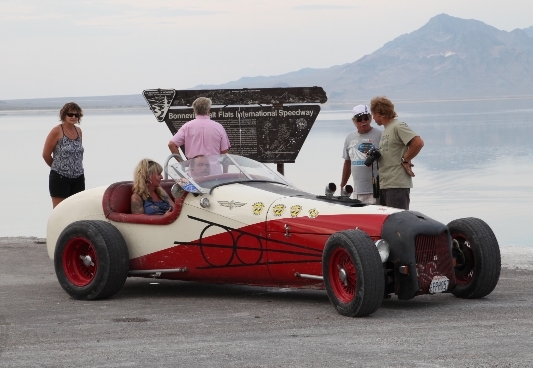 Unfortunately Bonneville Speed Week was a bust this year for racers. The heavy rains last week washed away any chance of racing because there was no way the salt could dry quick enough. We were there to take in Speed Week and photograph Johnson’s Hot Rod Shop and the ’53 Studebaker they built for Paul and Betty Gilliam, the Johnson’s partners on the Stupidbaker Racing Team.